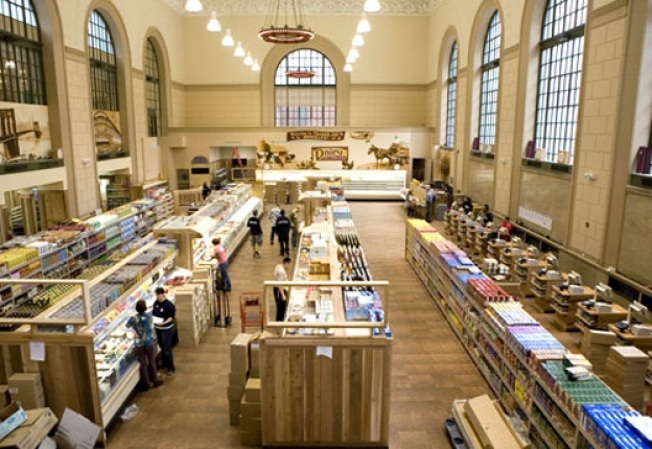 1) Cobble Hill: Now that the store is stocked and employees are running around, could we just get it over with and open the Brooklyn Trader Joe's already? Well, 9AM Friday isn't that far away. 2) JFK Airport: You didn't think we were done with JetBlue's T5, did you? Racked hit up the opening and has a big photo gallery focusing on the retail side of things. Are those really the Rockettes? 3) Everywhere:Frank Gehry is designing pop-up shops for the Gap's (Project) Red initiative. Scanty details right now, but the New York shop will "mimic a giant jigsaw puzzle." 4) Midtown: For those who are Wal-Mart deprived, Norma Kamali has created a line for the chain that's now at the designer's store at 11 West 56th Street. Stop in, order and the goods Fedexed home.